The warning echoed by generations reminds us that there is always a catch. As an incentive for data capture, many brands have offered samples and freebies often in exchange for an email address or filling in a quick survey. 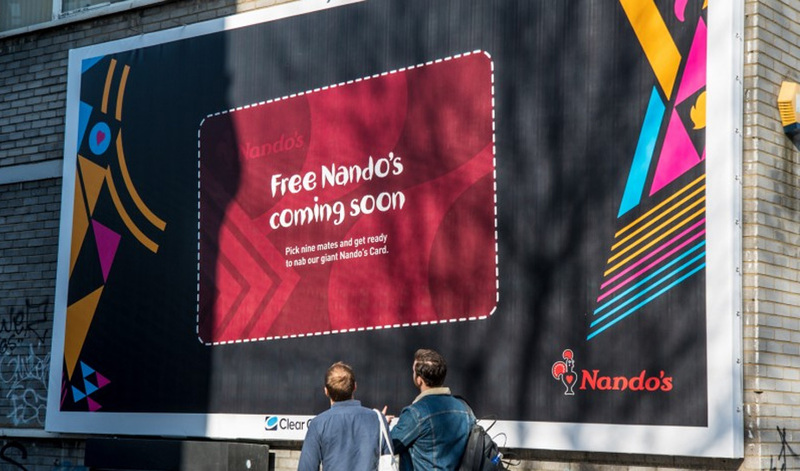 To reward and build on its customer loyalty, Nando’s made it easier for customers to claim a free meal through a highly-engaging, interactive billboard stunt. In selected locations around Manchester and London and rolling out at later dates in other cities across the UK, giant loyalty cards were installed on billboards for hungry friends to tear down and carry amongst them. To build anticipation and intrigue, the locations were kept secret, with teasers and hints shared across Nando’s social media. Each enormous card measured a whopping 3x2 meters – providing an impactful, visual stunt – and could be exchanged for a meal for 10 people, completely free-of-charge. The gimmick of a huge voucher combined with the guarantee of free food was enough to capture the media’s attention, with many articles encouraging people to take part – boosting the reach of the campaign. Keeping the offer open to all, the freebies were not limited to those who lived in the targeted cities. 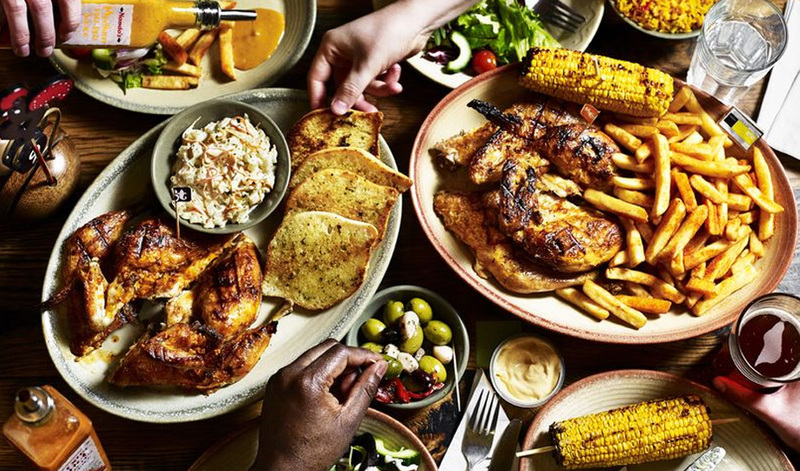 Nando’s also created an online gamified experience and boosted it across social media. A gif was created that flashed up a loyalty card for a fraction of a second. Those who were successful in taking a screen shot as the card appeared could use the voucher for a free meal. So why all the free food? Accompanying the billboards and games was the news that 1.8million meals remained unclaimed on loyalty cards. That’s almost £13million worth of food being left behind! Loyalty points are nothing new, but it’s rare for a brand to encourage customers to claim millions of pounds worth of their products, even if it is rightfully theirs. With bold visuals and a chance to win free food, brand love was carefully nurtured and earned by Nando’s. This isn’t the first time we’ve seen a brand coax in customers with the promise of freebies. Coors Light had a Free Beer Tap to refresh patrons, while Birdseye made the most of social media by exchanging Instagram pics for free food.